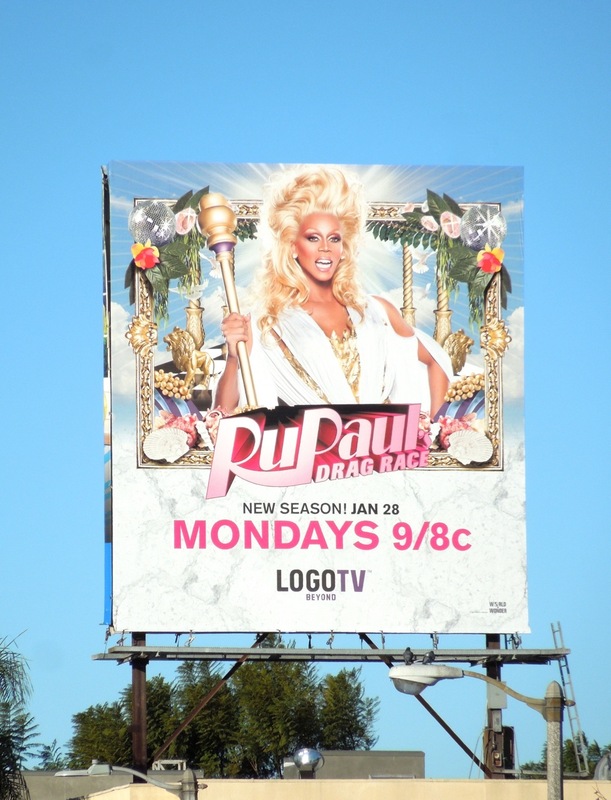 Who will have the charisma, uniqueness, nerve, and talent to win the accolade of being the next drag superstar in the official fifth season of RuPaul's Drag Race? 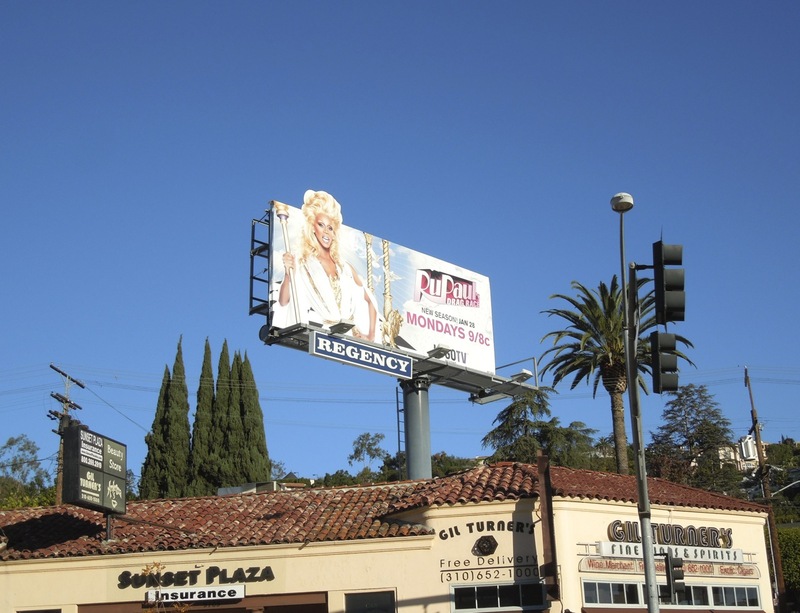 To kick off this fabulous new season the queen bee herself is channeling a Greek goddess in these eye-catching billboards around the streets of L.A. There's nothing quite like a good special extension to grab your attention, especially when it's needed for RuPaul's regal bouffant. 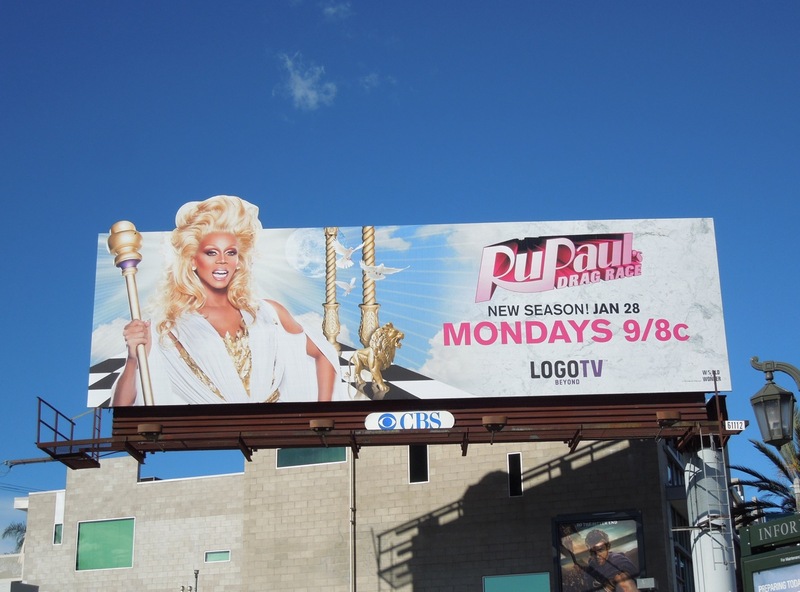 These fierce billboard creatives were spied strutting their stuff along Sunset Boulevard and Beverly Boulevard from January 11 to January 19, 2013. 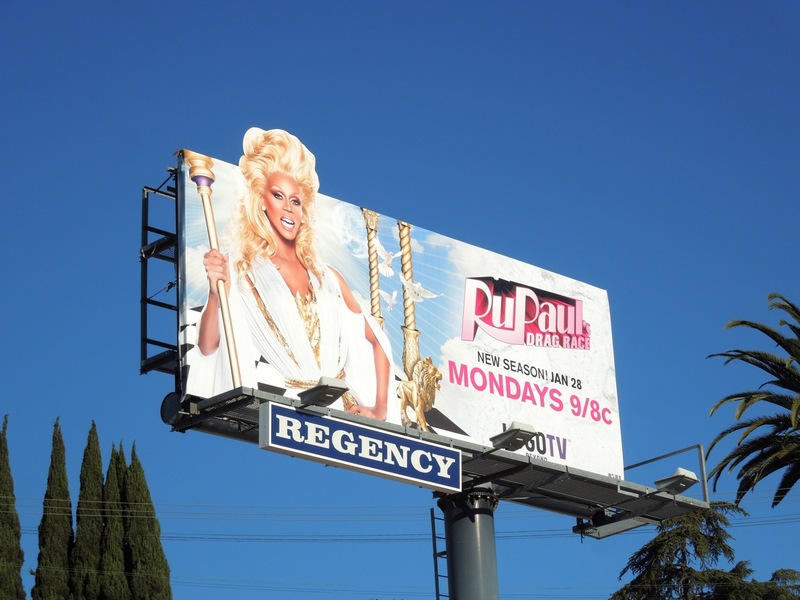 If you're a fan of the show, be sure to check out these billboards for RuPaul's Drag Race seasons two, three, four and All Stars. 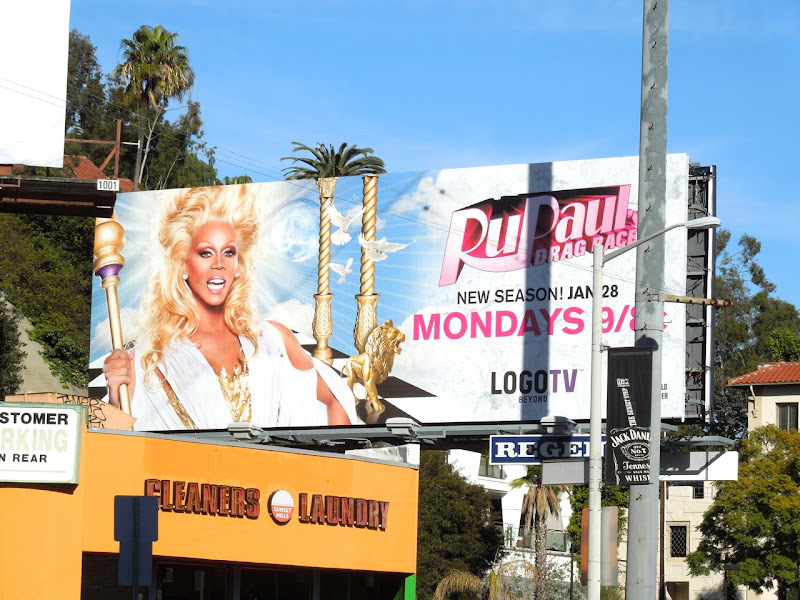 Only time will tell who will stay and who will have to sashay away. 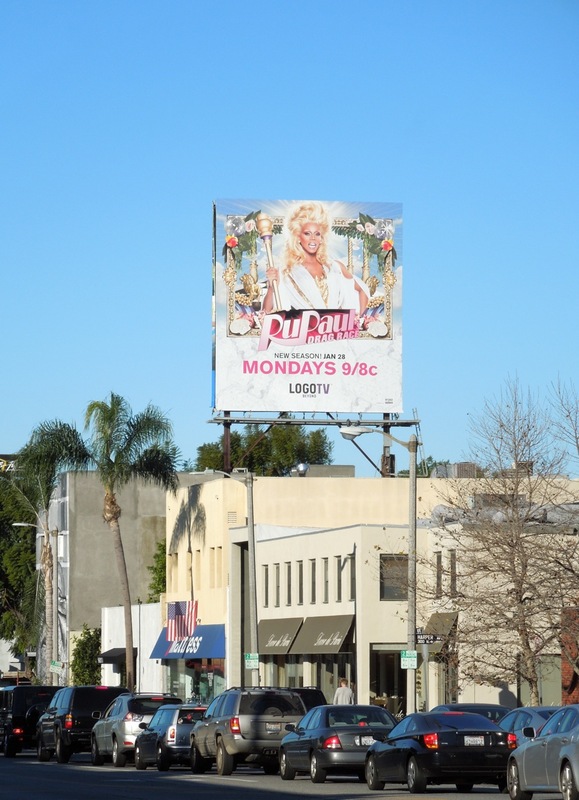 UPDATED: Here's another fabulous billboard for the fifth season snapped at the corner of Melrose and Highland Avenues on January 28, 2013. 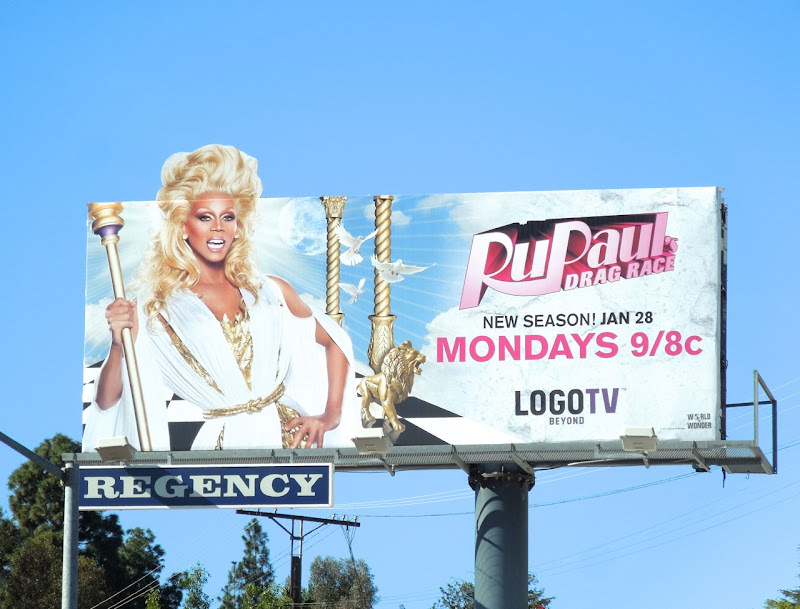 This one not only has the hair extension, but also the full sceptre that RuPaul is holding, which isn't on the smaller version.